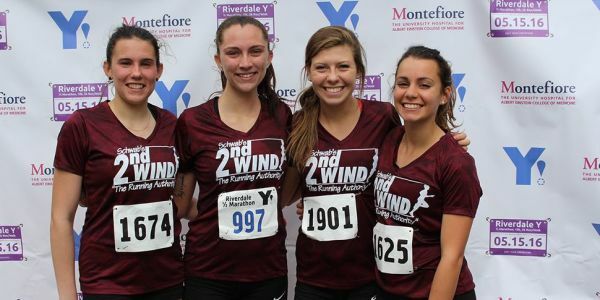 The Riverdale Run is one of the Y's proudest annual events. It's a day of personal triumphs and celebrating community. This year is the 10th anniversary of The Riverdale Run. 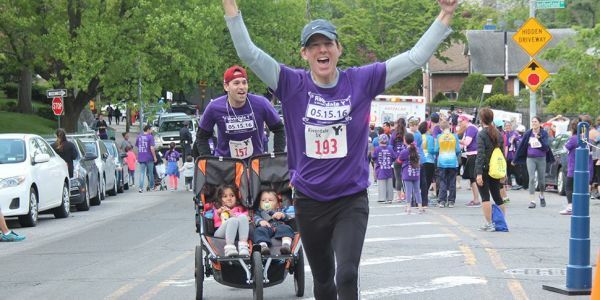 Your support for the Run, through walking/running, fundraising/ sponsoring, and volunteering means The Riverdale Y can continue providing scholarships and vital programs for the community. GPS address 5625 Arlington Ave, Bronx NY, 10471. 6:15 am - 7:30 am: Day-of registration and packet pickup open. 7:00 am - Mechitza minyan (Jewish prayer service) at the Lopatin family - 5615 Arlington Road (next to the Y). 7:50 am: Singing of American national anthem. Can't run/walk in the event? You can volunteer! It takes many volunteers to make this event a success. You’ll receive a volunteer t-shirt, community service credits (if needed) & 3 FREE guest passes to the Y! See our Volunteer Page for details and to register. For more information, see our Event Details Page. The 10th Annual Riverdale Run is a challenging event. Whether you run for 5 or 10 Kilometers, or you go for the 1/2 marathon, you will enjoy the city scenery, the cheering people, and the satisfaction of helping one of the oldest, most important organizations in Riverdale. Your participation, donations and those of your friends and sponsors make a tremendous difference in the lives of many of our neighbors. Our goal is to provide $100,000 worth of scholarships to deserving families this year. We can't do this without your help. In the past years we've had nearly 1,000 runners. This year we want to reach 1,000 again, and also reach our ambitious fundraising goals. Thanks from all of us at the Riverdale Y. We greatly appreciate your involvement, support and energy on our behalf. For information about sponsoring The RIVERDALE RUN click here.